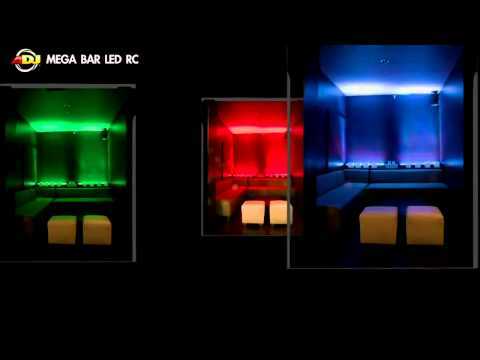 For stage applications and architectural lighting, these mega bar led fixtures from american dj are excellent. Utilising hundreds of leds and dmx control means you can create wall washes in any colour, colour chasing and strobing with ease. Being linkable in dmx and power makes installing them a breeze too. Considering purchasing the American DJ Mega Bar? Have questions? Ask people who've recently bought one. Do you own the American DJ Mega Bar? Why not write a review based on your experience with it. Great use it all the time good light effects. Lovely light, I use it to light up the front of Equinox DJ Booth. Really good build quality. Really pleased and recommended. 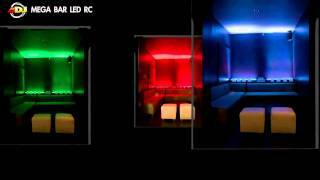 Brilliant light for any accasion.uplighting or behind a cloth. Bought x2 of these led bars and we use them inside or our quad truss with TV on top of the truss, the lights look really good when you working in dark rooms and with some smoke you can get really nice effects. We use to uplight behind our booths at the club, nice throw of light, the remote helps because it means you don't need to mess around with DMX leads, simple but effective bar light! Seen a video for American DJ Mega Bar online or have you own video? Check out American DJ Mega Bar on DJkit.com!